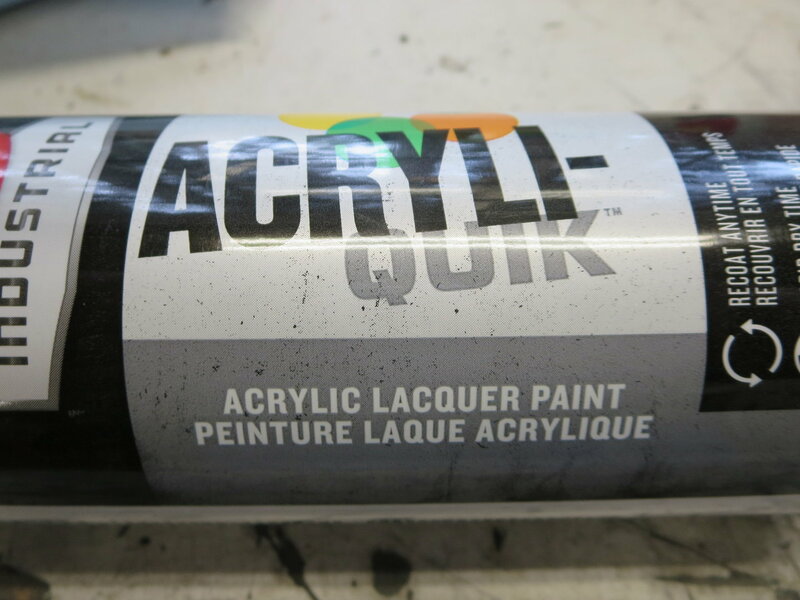 The Krylon #1613 is a lacquer paint - take a close look at the picture on JOHNZ's post and you can see "acrylic lacquer" listed on the label. Not sure what chemistry is used in the Krylon #51613 product, but can tell you for sure it is not the same as #1613. Cannot find the Krylon Industrial Semi Flat Black which I am told is lacquer. Is the SEM 39143 Lacquer paint? It is readily available on Ebay for around $15 with free shipping. Would it be comparable (or better) than the Krylon? What about the John Deere Blitz Black...is it lacquer? Last edited by Tcheairs38655; 06-27-2018 at 10:43 AM. The original 1613 was replaced by the 1613 5 ball JohnZ posted. That 5 ball industrial has been just been replaced by 1613 Acrlyi-quick. I'm down to my last can of the 5 ball 1613. I ordered a case of 1613 industrial but I just received the new case and it is the acrli-quick. Gonna do a test spray when I get back. Yes, it's the same acrylic lacquer that some of us have been using for decades. Wow...that's beautiful...no way I can ever get mine that slick having to work around all of the stuff that I don't want to remove. Wiring harnesses, steering column and heater box will however be out of the way. Also, no motor or radiator. Last edited by Tcheairs38655; 06-27-2018 at 01:06 PM. 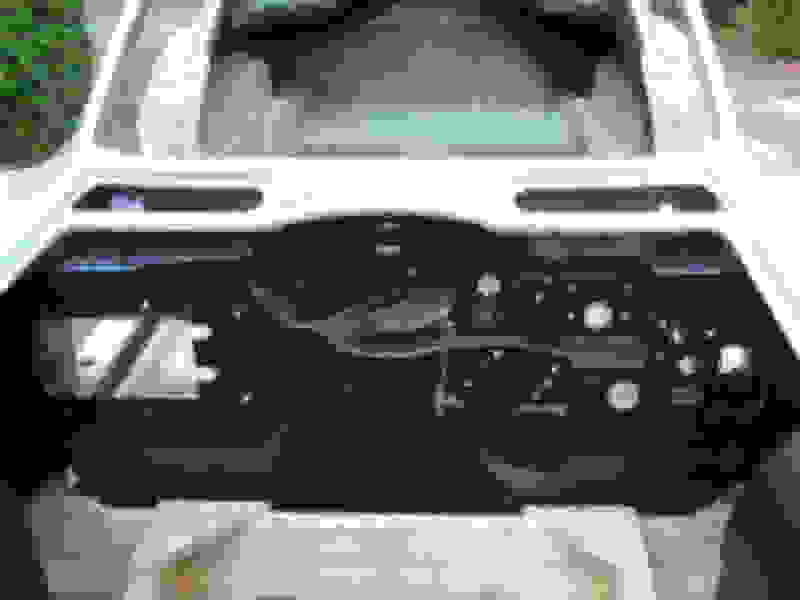 Don't know where the emoji's have gone to including the "I agree with the above" one, but Krylon #1613 Industrial provides a very good semi flat finish for underhood and even instrument panel and glove box door surfaces. I agree. Lotta guys use enamel on the glove box door and IP housing and it looks bad. Anybody ever tried using one of those aerosol can plastic red "straws" to shoot paint into tight areas and around things you don't want to get painted (black)? 2 Pop the plastic tip off of the paint can. 3 Take a needle and pop out the white insert from the plastic spray tip. 4 Insert the extension tube in the hole of the where the insert was. 5 Insert plastic tip back on spray can with tube attached. Found this recipe on a model A forum. Never tried it but I plan to..
Last edited by Tcheairs38655; 06-27-2018 at 06:39 PM. Very nice! I hope comes out near the same. Would the SEM Trim Black be used for the underside of the hood also? I'm headed down this same road, hope mine turns out this nice. I did not know JD changed their formula, guess I will go with this one. Yes, that's correct. The only enamel on a Corvette from the factory was on the wheels. I'm back. Took the summer off. I have done the requested test. The new K01613A07 formula has a higher gloss than the old 1613 Industrial - at least to my old eyes. I'll hoard my old stuff for the finish coats. Are you sure you have the lacquer-based "5-Ball" Industrial Semi-Flat paint? It's EXACTLY the same as the good old Krylon 1613 we grew up with. The 1613 Semi-Flat Krylon you'll find these days in hardware and big-box stores is different - it's a new enamel-based higher-gloss paint that is completely unsatisfactory. The good stuff is available only from industrial supply houses like Grainger's (and others). Hey John. Yup. I bought from it from the usual industrial supplier. The cardboard case was the same however the 5 ball industrial seems to have been superseded by Krylon Industrial Acryli-quik which is also an acrylic laquer like the 5 ball. It is sold as 1613 but the actual P/N on the can is K01613A07. The product has more gloss that the 5 ball base on my side by side comparison. I've got a message in to Krylon customer service about the gloss level. I'll report back if I get a reply. Krylon sent the following about the new 1613 formula. We are constantly reviewing our product formulas and ensuring they meet the ever changing Government regulations in which they are subject to. The number 7 at the end of part number indicates that these product meet the current regulations. We are constantly working to ensure the sheens maintain the same appearance you've come to expect, but there are some limitations. Looks like the new stuff is going to be a bit glossier.